Do you ever go shopping and see something that you just love and then you know that you have to buy it and do something with it. 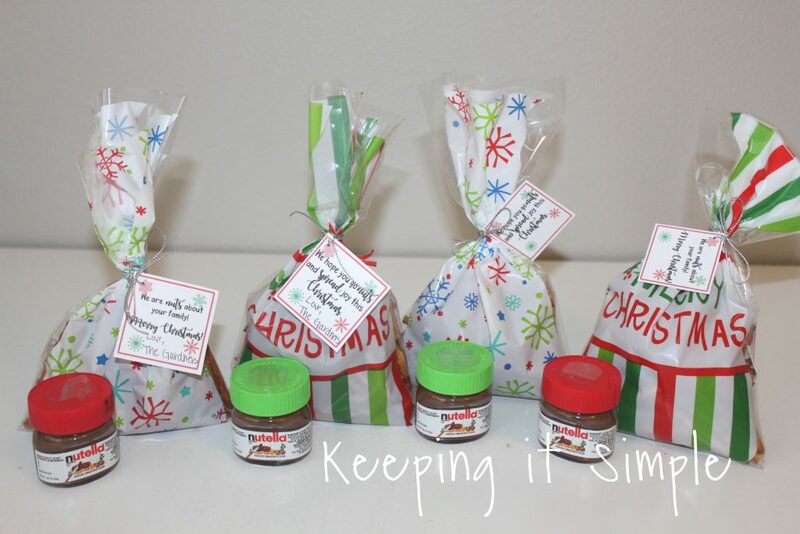 That was happened to me when I saw these little mini Nutella jars, they are adorable and I knew that I had to use them for neighbor gifts. 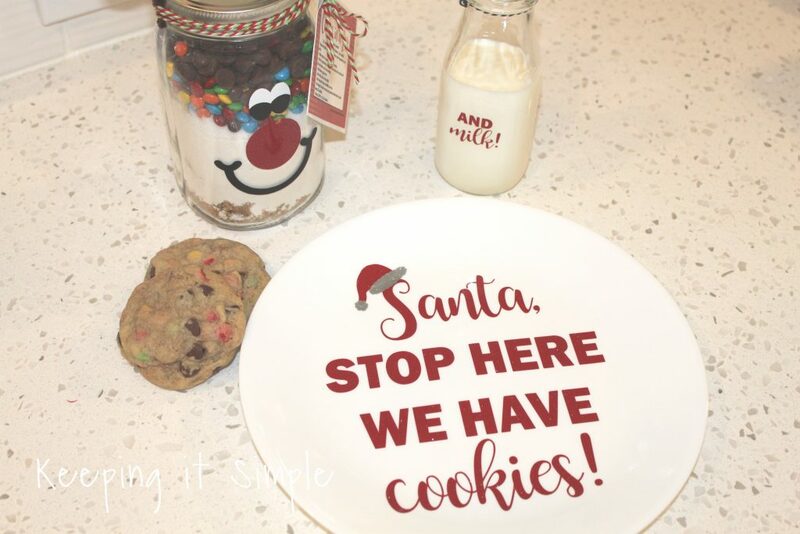 So I decided to grab several of them, make up a printable to go with them and then I added some pretzels to go with them. I thought that the sweet and salty combo would be good. Another thing that you can do is give some fruit (like apples) with it. Or buy a waffle mix or something like that and add the little Nutella jar with it. 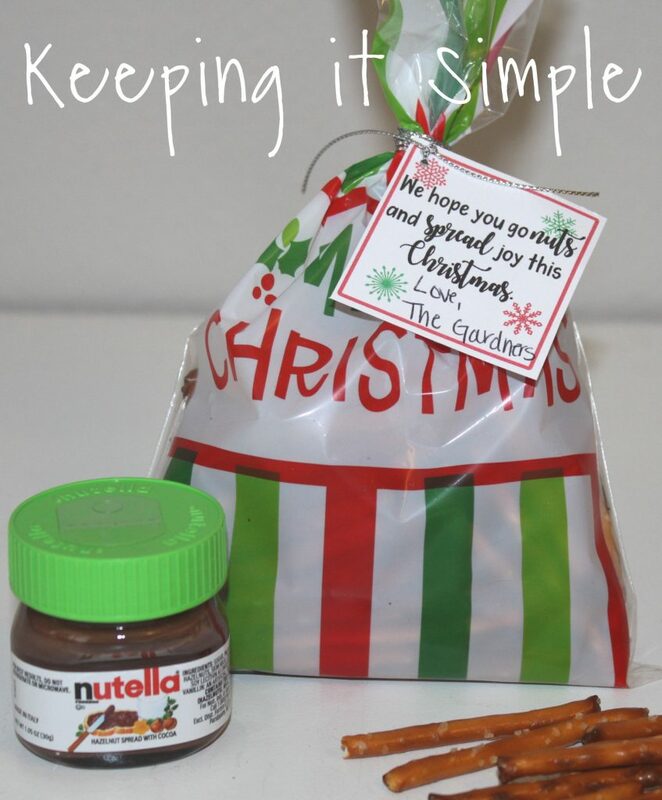 The printables go great with the mini Nutella jars, so you can still use them if you did something different. 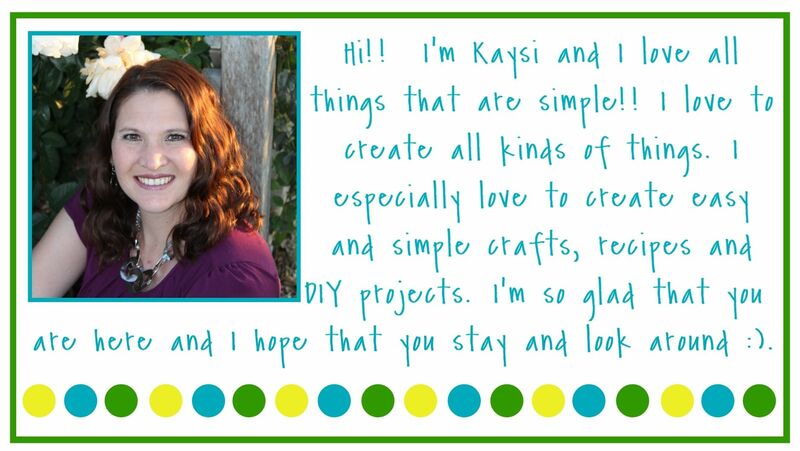 Here is a quick video to show you the process of how to make these. 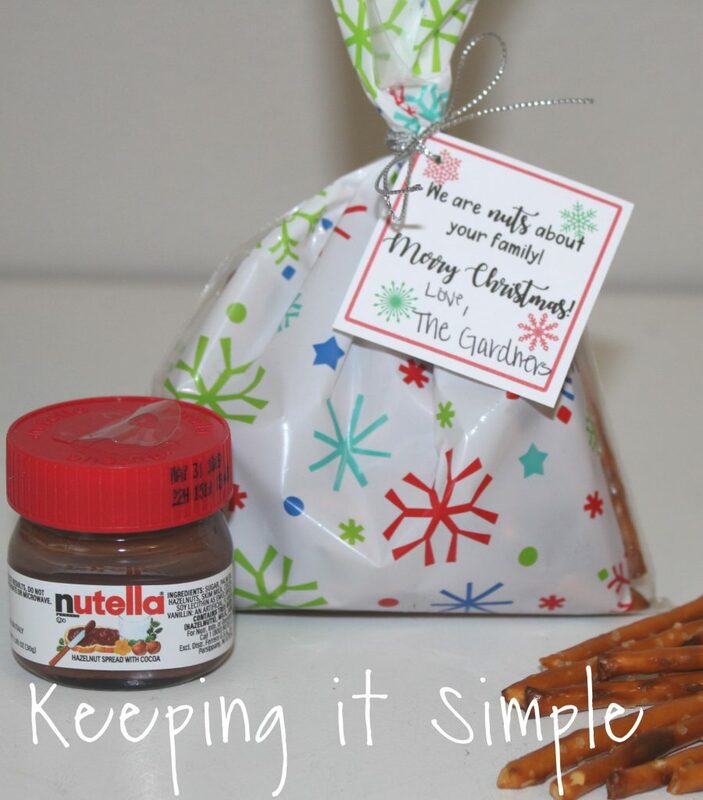 They are super easy, which great since I’m always for an easy neighbor Christmas gift idea :). Once the printable was printed out, I got all the supplies that I needed. 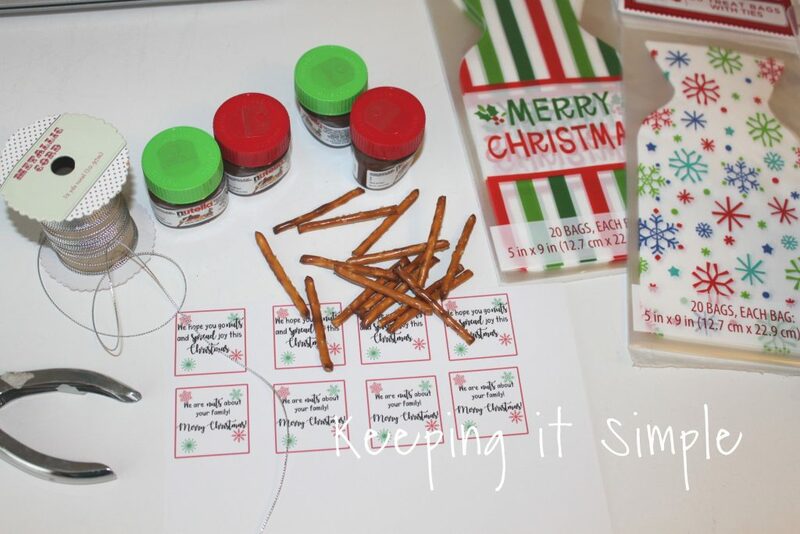 I picked up some Christmas bags for the pretzels and then some silver string to put the tag on. And of course the mini Nutella jars, I got those at Walmart in the Christmas candy aisle. I filled the Christmas bag with pretzels and then cut out the tag. 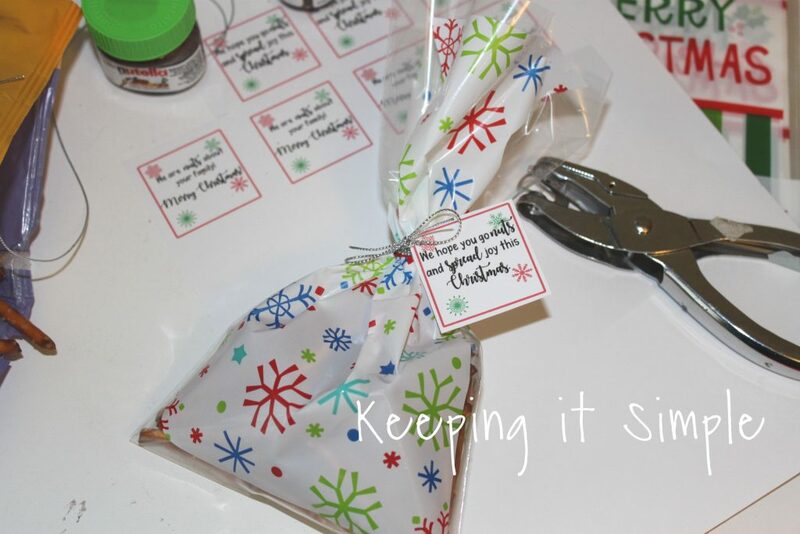 Then using a 1/16″ hole punch, I punched a hole into the tag and then tied it onto the bag. And that’s it!! 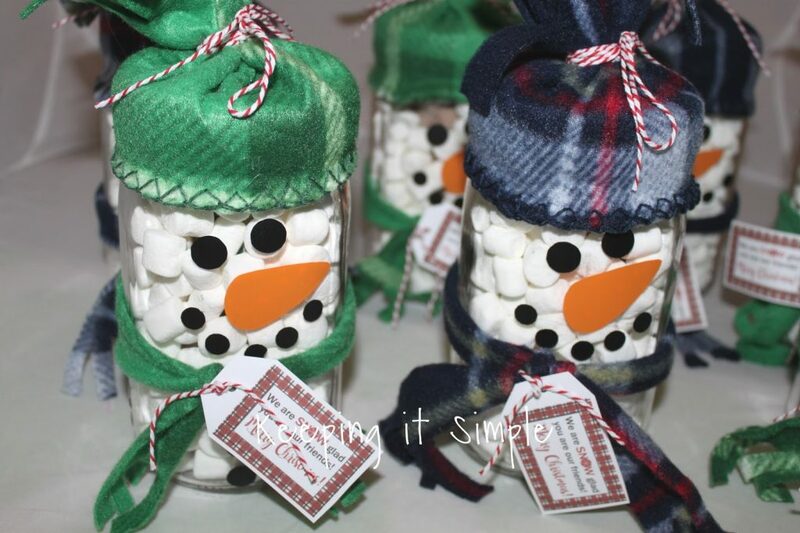 Seriously so easy to make! There are two different sayings, so I used both. I can’t wait to give these to my neighbor and friends. Here is a close up on of them. And here is a close up of the other one! I love them both! 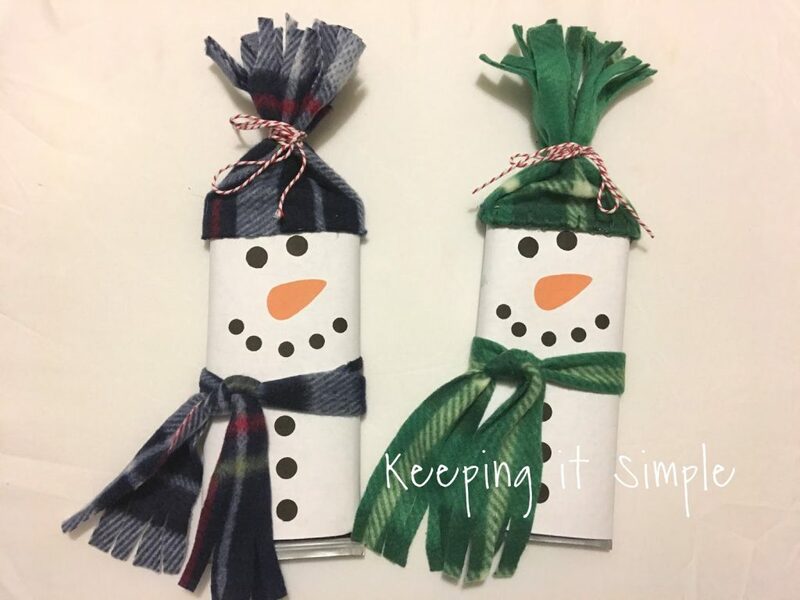 Make sure to check out my other Christmas crafts and neighbor gift ideas! 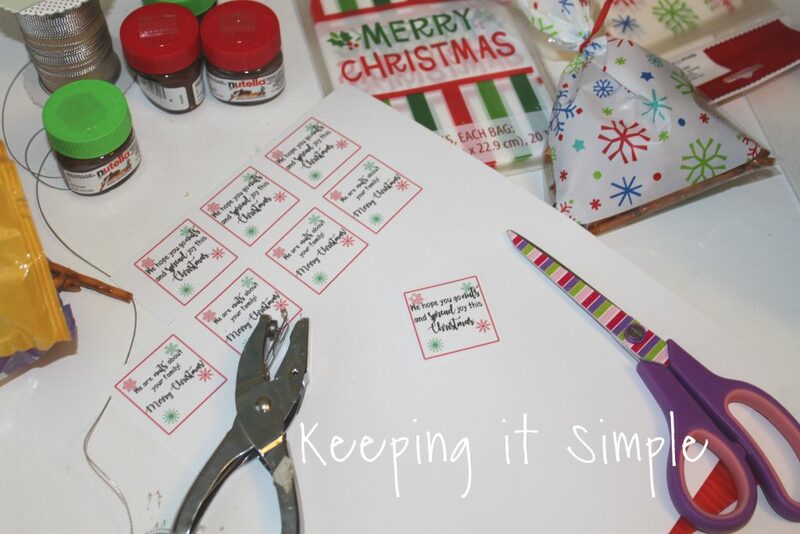 Filed Under: Christmas, food, free printable, gifts, tutorial, video tutorial.